Coupons valid until May 07, 2019. May redeem multiple coupons per person. Open Tuesday to Saturday from 9 AM till 7 PM, Sunday from 9 AM till 12 PM. Reservation required on 03 980 919 or 01 499 019, quote Gosawa coupon. No carry over. VAT included in price. Standard terms & conditions apply. Struggling to keep your hair shiny and always at its best? 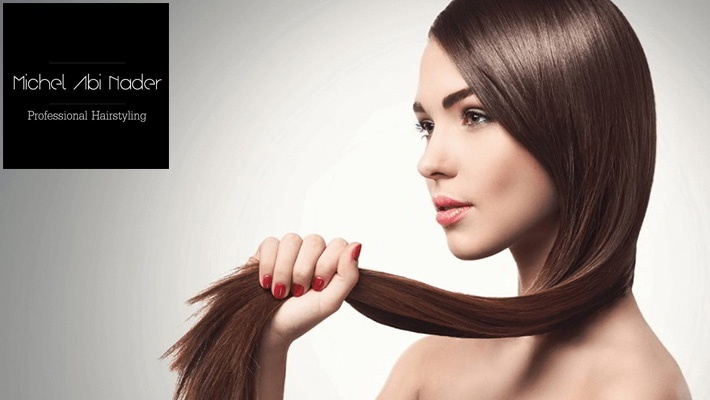 Benefit from 53% off this Crystal Hair Treatment from Michel Abi Nader, only $40 instead of $85. Revive your hair and make it shine. Michel Abi Nader Beauty Salon is the place to be for every lady looking for beauty treatments. Visit the salon to be taken care of by skillful hairdressers providing you with hair treatments, hair cuts, hair-do, hair color, highlights and much more.